Variation is a fundamental musical principle, yet its most naked expression – variation form – resists all but the broadest descriptions. This book offers listener, performer, analyst and composer an eclectic array of approaches to ‘Theme and Variations’, including: patterns of departure and return; real versus perceived time; strategies of propulsion and closure in an intrinsically cyclic and open-ended form; the interplay of authorial voices deriving from dialogue between the ‘self’ of variations and the ‘other’ of their theme; critique of a theme through a set’s generic references; drama and narrative achieved through textural and tonal control; and the intrinsic sound of a variation, so different from that of a freely composed work. 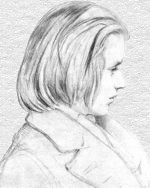 These topics are introduced through a general survey of the form, seen through the prisms of the provenance of themes and the ideologies of sets, before being developed through close study of Brahms’s variation sets and movements. 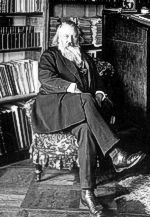 Brahms was supremely aware of his place in music history and was uncommonly self-conscious in his manipulation of different techniques of composition. His variation sets – some of the most well-crafted and beloved examples – place the interplay of forms and styles at the heart of their identity. Moreover, in their stunning breadth and diversity they offer a microcosm of Brahms’s entire output, a succinct revelation of his life-long concerns. Through them we marvel at his technical and poetic mastery, and journey to the heart of his creative character. The detail and scope of Littlewood's book is such that it makes a valuable contribution to Brahms scholarship: numerous musicians, composers, teachers and academics will want to refer to it well into the future. Littlewood's is a major and indispensable contribution. This is the kind of book that has stimulus and value beyond the confines of its immediate subject. It will provide an essential point of reference for students of the timeless musical art and principle of variation in general. In this outstanding and very readable survey of Brahms's variations Julian Littlewood thoroughly explores every conceivable aspect of the composer's use of the form. This superbly produced volume is wholeheartedly recommended. Littlewood's book is an impressive achievement. His elegant hermeneutic analysis will indeed be very stimulating to composers, performers, and scholars. Julian Littlewood studied at St Peter’s College, Oxford and later at King’s College London where he took his doctorate. He has been organist or organ scholar at several Oxford colleges and has performed across Europe as pianist, organist and conductor. He is also a specialist in information technology, with a particular interest in publishing and digital content delivery. This book brings together his commitments to performance, musical analysis and the works of Johannes Brahms. Christopher Wintle (Editor) has taught musical analysis at King’s College London for many years and published widely in the field. He is also General Editor of the Hans Keller Archive (Cambridge University).